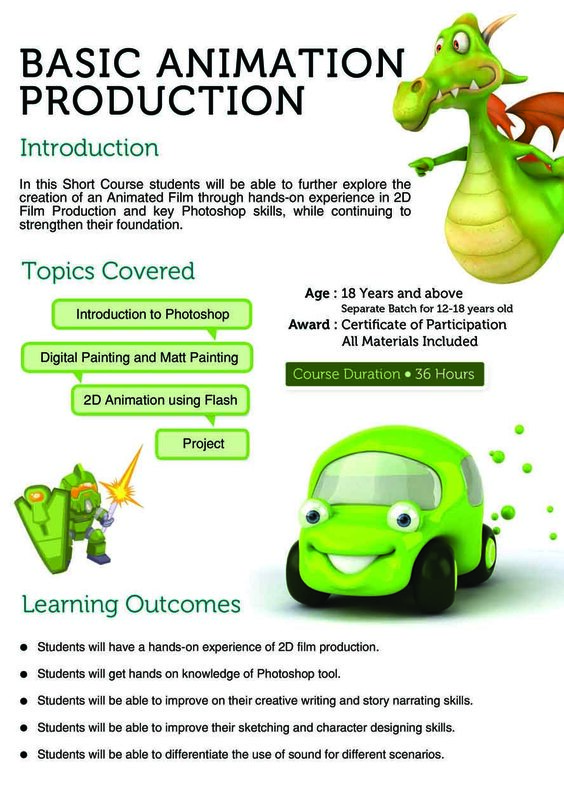 In this Short Course students will be able to further explore the creation of an Animated Film through hands-on experience in 2D Film Production and key Photoshop skills, while continuing to strengthen their foundation. Have hands-on experience of 2D film production. Have hands on knowledge of Photoshop tool. Improvement on their creative writing and story narrating skills. Improvement on their sketching and character designing skills.